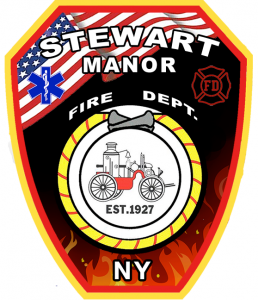 If you are interested in joining the Stewart Manor Fire Department and volunteering as a Firefighter or Emergency Medical Technician, please express your interest in an email to us at info@stewartmanorfire.com, include contact information so we can reach you regarding the application process. Alternatively please feel free to stop by Fire Department Headquarters to learn more about volunteering and to fill out an application. We are located at: 120 Covert Ave Stewart Manor, NY 11530 and are available Thursday nights from 8pm-10pm and Sunday Morning from 10am to Noon. Prior experience or training is not required, all necessary training and courses will be provided free of cost.